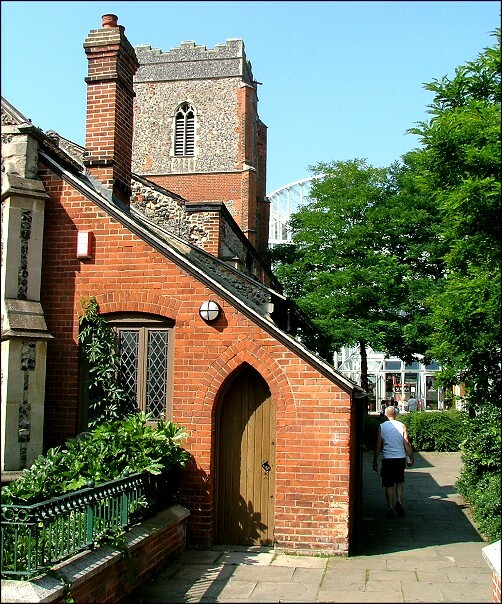 Like all medieval towns, Ipswich entered the last few decades of the 20th century with a surfeit of Anglican churches. This is partly the fault of the Victorians it must be said, who rather overstretched the Church of England with the building of massive new churches in the suburbs, and the enthusiastic restoration of the medieval ones. 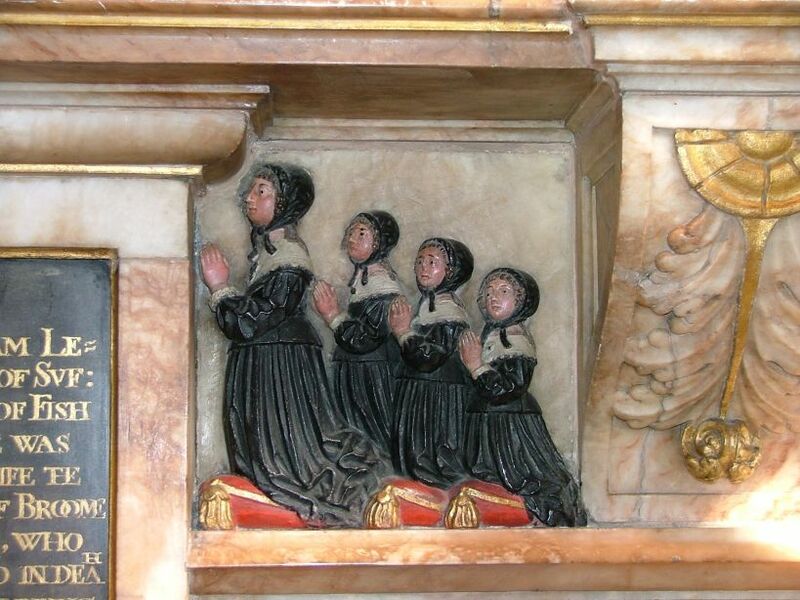 Unfortunately, their work began to wear out at pretty much the same time as the congregations began to melt away, and in any case Ipswich had been less successful than most towns at encouraging people to live in the town centre. By the 1970s, the population of this parish was probably in single figures. When St Stephen's church was declared redundant in 1975, it was lost in a sea of rundown shops, overlooked by a redundant factory. It wasn't a pretty sight. 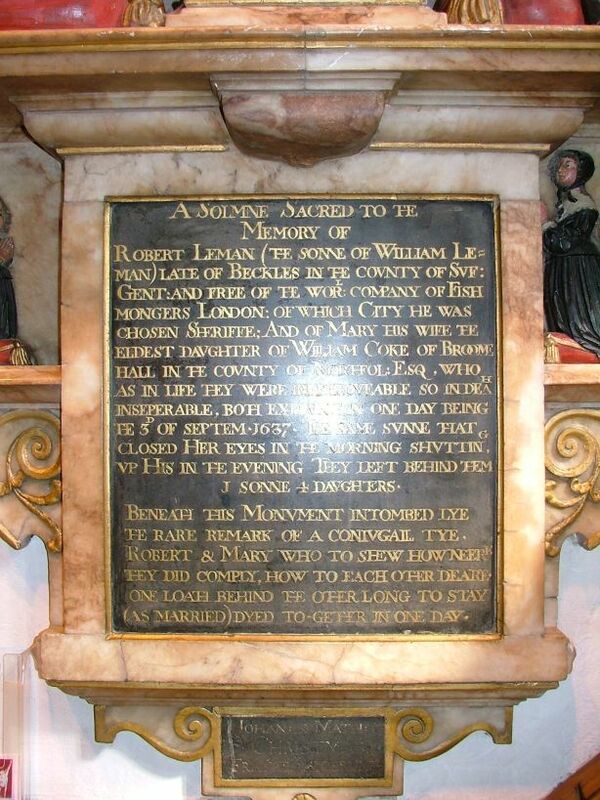 I first visited it in 1987, when it was being used for performances of TS Eliot's Murder in the Cathedral. It was ideal for this - high, dark, shabby. When the area became the location for the new Buttermarket Shopping Centre, various plans were made to include St Stephen in the complex. All the buildings around it were quickly demolished. And then, the recession set in, and St Stephen stood high and dry for several years, looking rather more prominent than it probably wished to be. 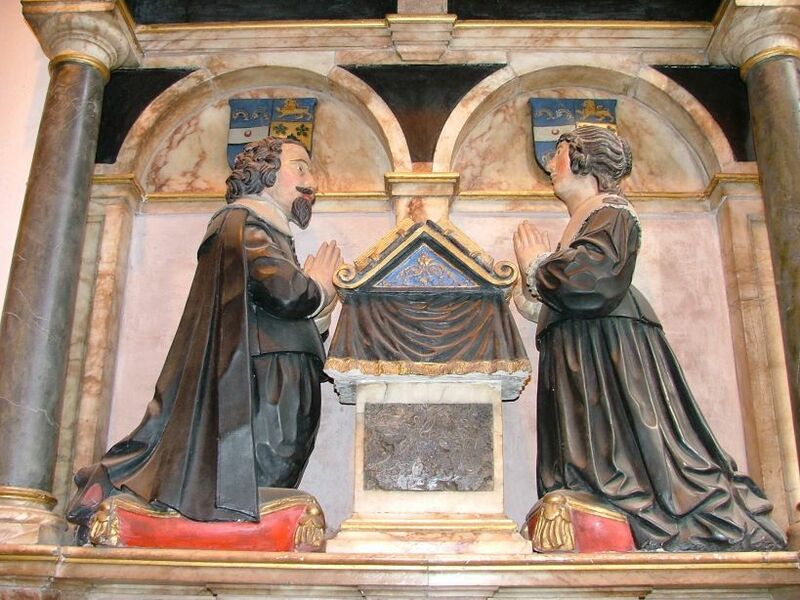 The church suffered heavily from vandalism in the early nineties, and several of the great tomb chests in the churchyard were disrupted. 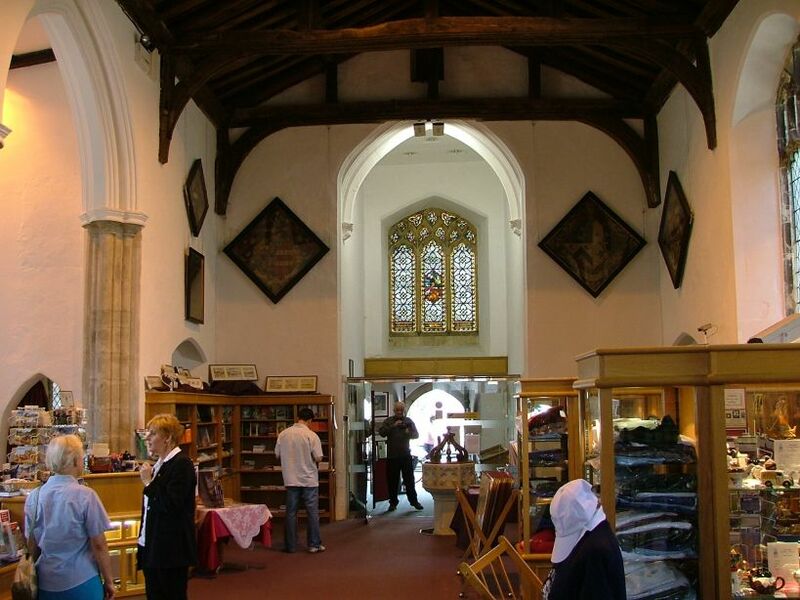 But in 1994, St Stephen became the new Tourist Information Centre for Ipswich. It was thoroughly restored inside, its former shabbiness cloaked in brilliant white. All the fixtures and fittings were sensitively showcased, and you still enter the fine west doorway with its flanking niches and stoup, past the font. 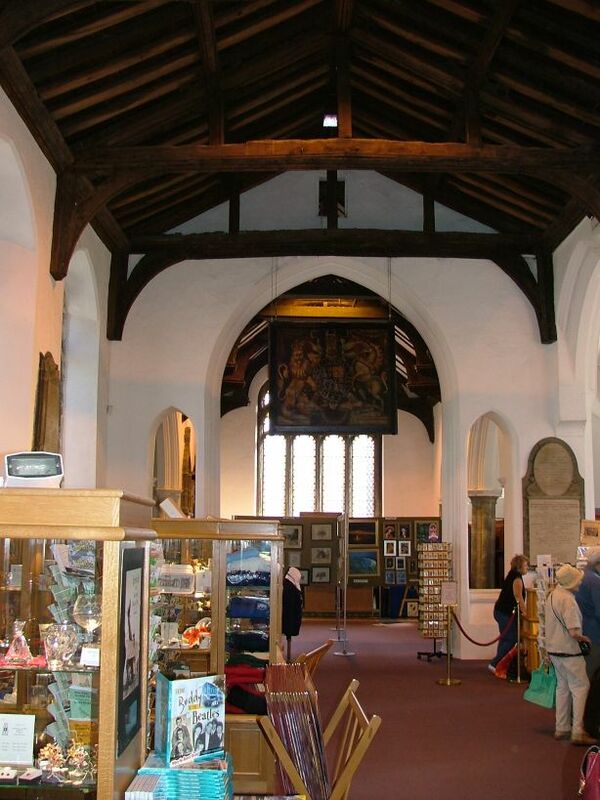 The fine 16th century roof has been cleaned, the monuments stand out splendidly from the whitewash, and the holy end has been sensitively preserved as an exhibition space, and was for a while still used by the parish of St Mary le Tower on St Stephen's Day each year. From the outside, the extent to which the church was restored in 1866 and again in 1881 is clear, although it must be said that the brick makes it rather distinguished at this distance, echoing the red-brick tower of St Mary Elms. 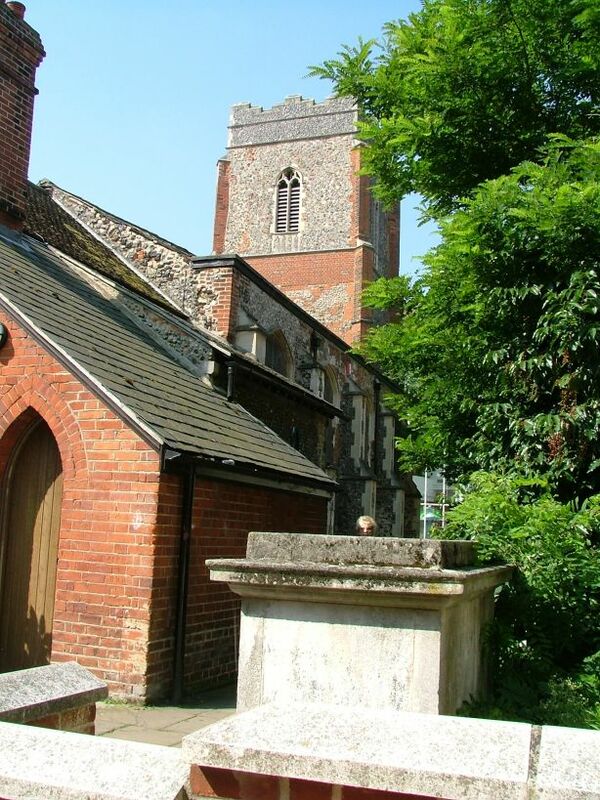 Internally, this is the most interesting of the six town centre redundant medieval churches. 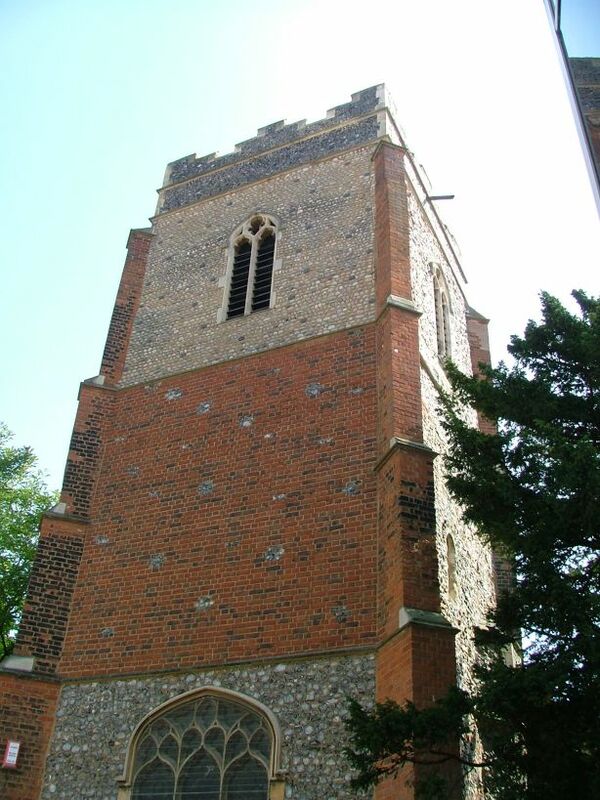 It is one of only two of them to have found a new use, in this case the local council; ironically, it was Ipswich Borough Council who took possession of the redundant churches from the diocese in the first place. A rare remark of a conjugal tye. (As Married) Died together in one day. 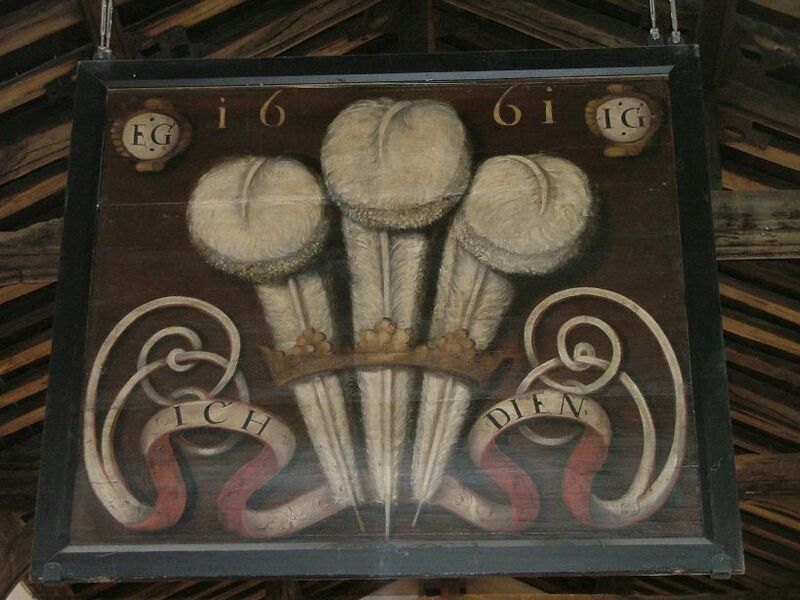 As is common in Ipswich churches, the royal arms are to Charles II. 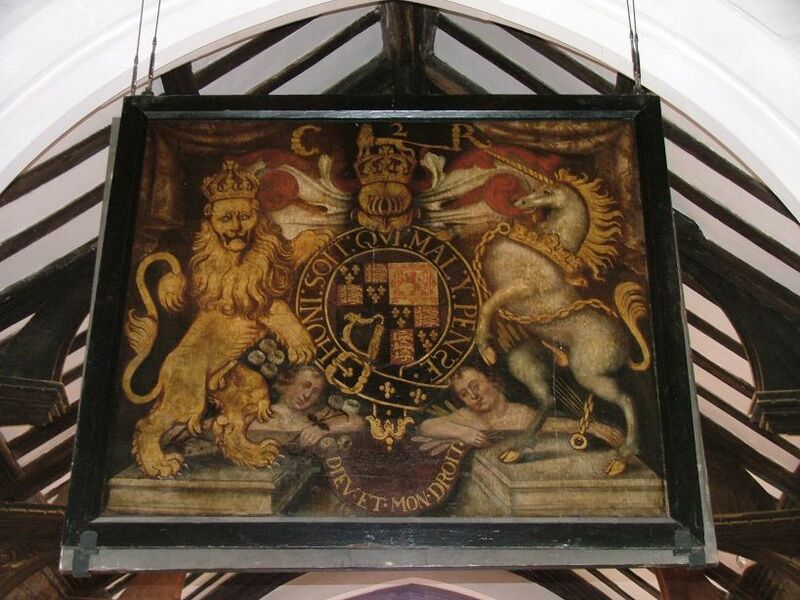 As at St Margaret, they are painted with the Prince of Wales' fleur-de-lys on the back, and here the board is pleasingly displayed suspended in the chancel arch, so that it is possible to see both sides. 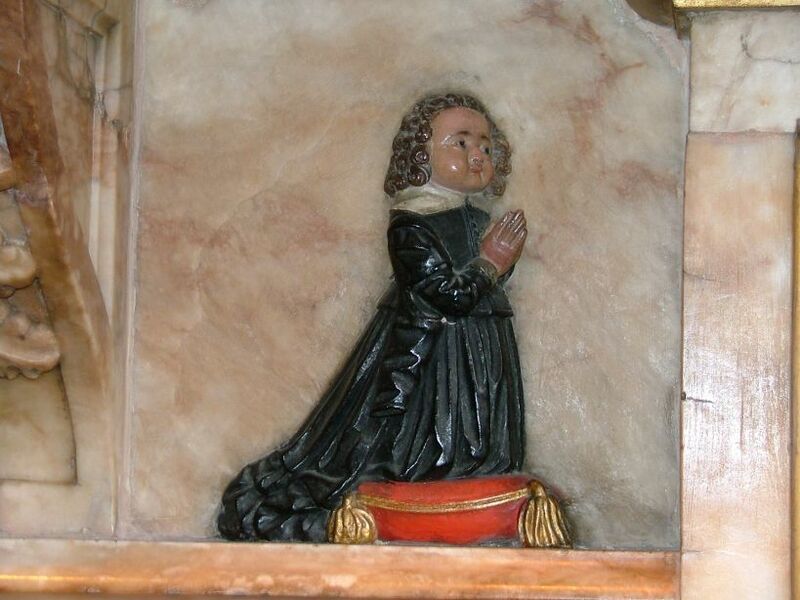 They are dated 1661. As you step back outside, don't miss the five hatchments around the door, including one very odd square one, and the Victorian glass above the door of the stoning of Stephen. Arras Square is either pleasing or not, depending on your opinion. 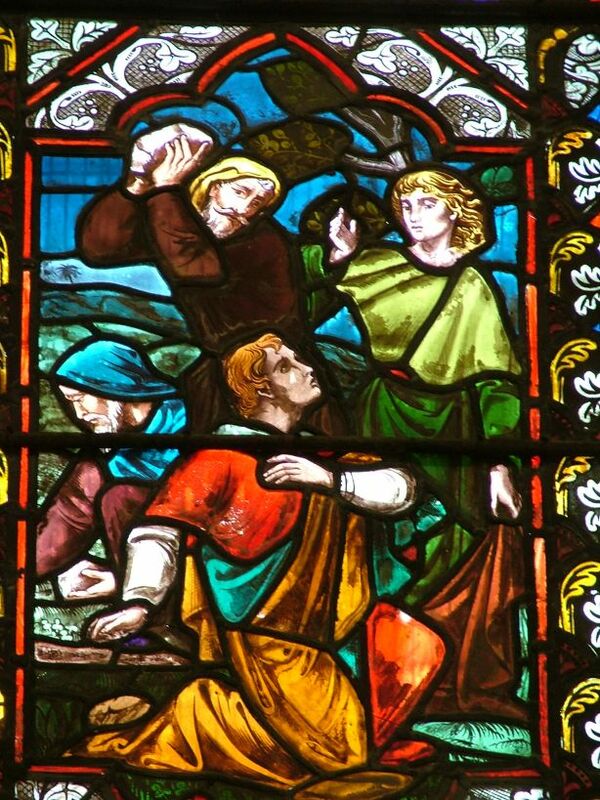 But I think the great glass Festival of Britain frontage of the shopping centre does credit to St Stephen, and the clearing of clutter has unified St Stephen into a line with near neighbours St Lawrence (80m) and St Mary le Tower (160m). The view from the food hall of the shopping centre of the three churches is quintessential Ipswich, if you can bear the seediness of the food hall. 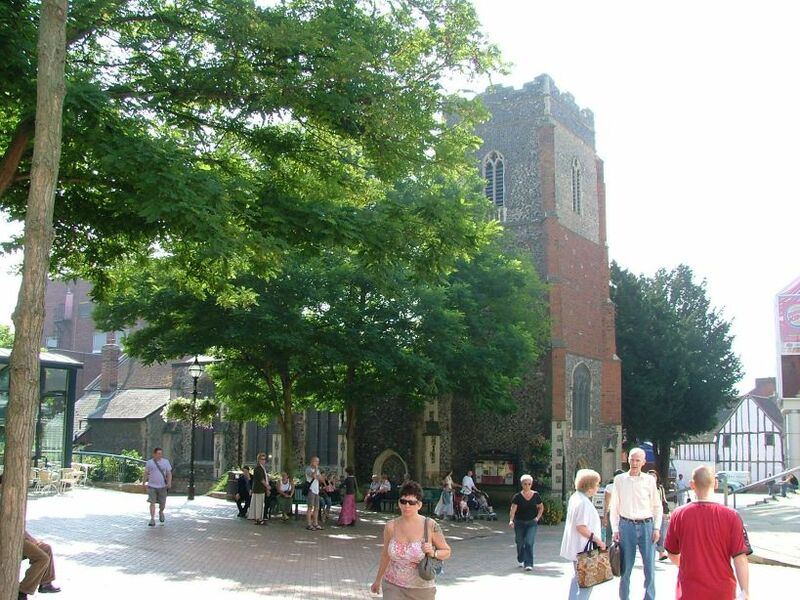 It must be said that Arras Square in Ipswich is more pleasant than the Place d'Ipswich in Arras, although the church of St John the Baptist on the square there is well worth a look inside. I do wonder how some of these town twinnings come about; I assume that whoever initiates them gets the best deal. I was struck last year when visiting the beautiful southern French city of Beziers that it is twinned with Stockport - someone in the Greater Manchester area obviously had an eye for the main chance back in the seventies. Arras is no Beziers, but is pleasant enough, if not as grand or interesting as Ipswich. 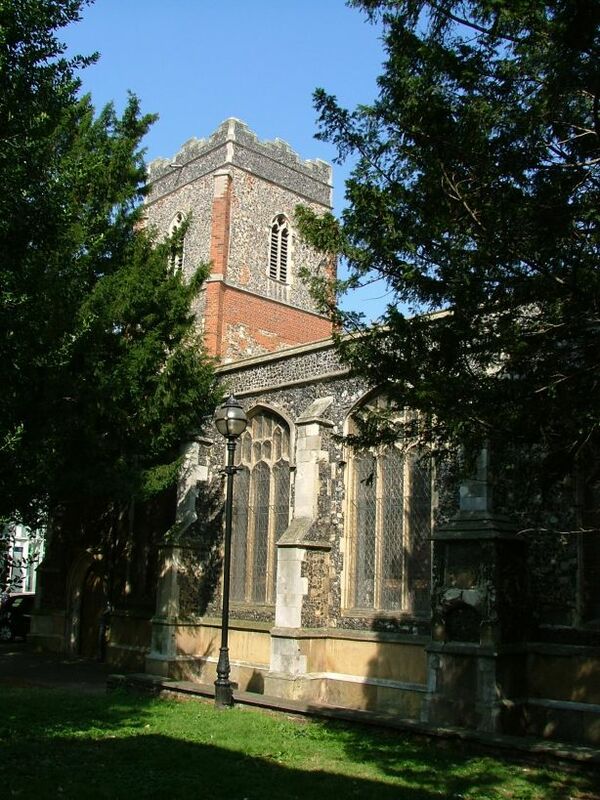 After a period when it looked as though the church might even be lost, St Stephen is the most successful of all attempts to find new uses for Ipswich churches.